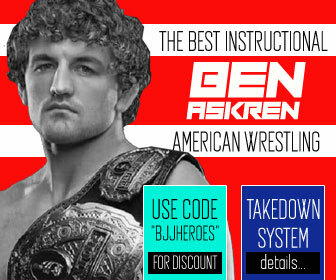 Brian Beauchamp is an accomplished judo and Brazilian jiu jitsu black belt as well as a respected mixed martial arts (MMA) referee and judge. 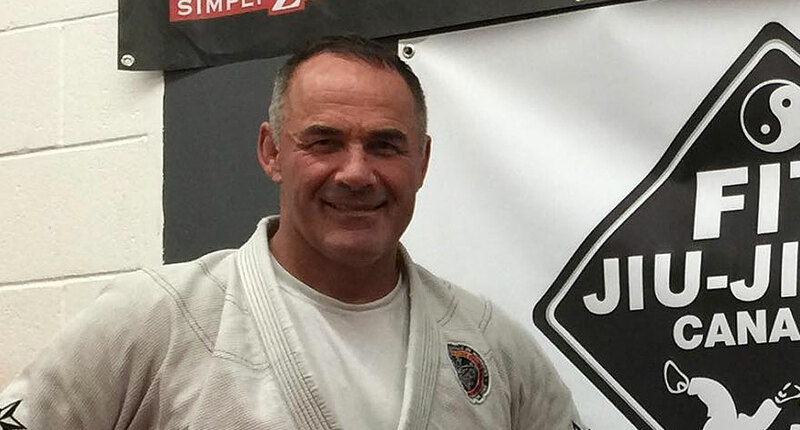 After an outstanding 30 year long career in judo, Beauchamp switched his focus to BJJ where he became one of the most successful Masters/Seniors competitors of all time, particularly in the International Brazilian Jiu Jitsu Federation (IBJJF) circuit where he spent 9 consecutive years without conceding a single point. Brian Beauchamp was born on July 8, 1958 and raised in Toronto, Ontario, Canada. Growing up with three brothers and one sister, Brian’s parents realized the importance of extracurricular activities and by the age of nine Brian and his brothers (Brad, Glenn and Steven) were enrolled in Judo classes. Training under the guidance of Sensei Charles Formosa (sixth degree), the Beauchamp family started gaining local recognition for their competitive achievements. The brothers went from competing locally to nationally and internationally at a junior level. In high school, Brian joined the gymnastics team, but it was later when he joined the wrestling team that his talent shined. As he graduated from high school, he was offered many scholarships for wrestling by U.S. College teams. Brian and his twin brother, Brad, received their Judo black belts at 20 years of age, with their brother Glenn receiving his the following year. After consulting with their coach, Brian, along with brothers Brad and Glenn, decided to move to Waterloo, Ontario where the three lived for two years, training and learning under Canadian Judo legend and former Olympian, Wayne Erdman. It was there, under Erdman’s tutelage, that the Beauchamp’s learned the work ethic, mindset, and laser focus needed to compete against the best athletes in the world. After two years of Wayne’s training and mentoring the boys, they all moved to Montreal, where they earned a spot on the Canadian National Judo Team coached by Hiroshi Nakamura (9th Dan). While competing for their country at an international level during the 1981 season, the Beauchamp’s came across a conundrum. They all competed in the same weight division and were jeopardizing one another’s chances of making the Olympic team. The resolution was that since Glenn was the youngest and had the best chance competitively, they decided to shift their focus to his progress as the 1984 games were approaching. Glenn went on to become a two time Olympian (1984 Los Angeles and 1988 Seoul). Glenn and Brad retired and Brian continued competing in Judo, moving back to Toronto where he landed his current job as a firefighter in 1993. This coincided with an excellent period in his Judo career when he won a silver medal at the World Firefighter Games in 1994 and a gold medal at the World Police and Fire Games in 2001. When interviewed for this article, Brian mentioned his Canada Cup bronze medal, his gold at the New York and Quebec Internationals and his Most Outstanding Athlete Award (Masters) out of 500 athletes at the U.S. National Judo Championships as his greatest accomplishments in Judo. 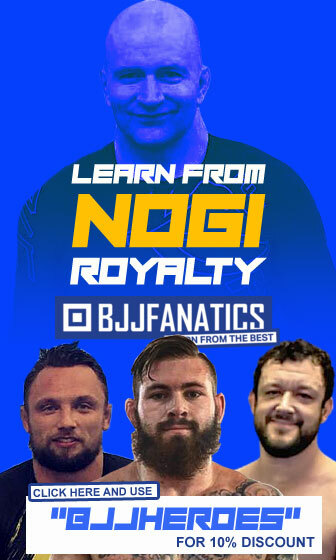 At the age of 45 while on vacation in New York, Brian visited his friend, former U.S. Judo Olympian Teimoc Johnston-Ono (who was also a BJJ black belt). Ono introduced Beauchamp to Jiu Jitsu Coral Belt Fabricio Martins who was visiting New York from Brazil. Not long after they met, Brian travelled to Rio de Janerio and trained under Fabricio at his famous gym in Copacabana. Their bond was sealed and Beauchamp became Fabricio’s direct student which was rare for a foreigner. 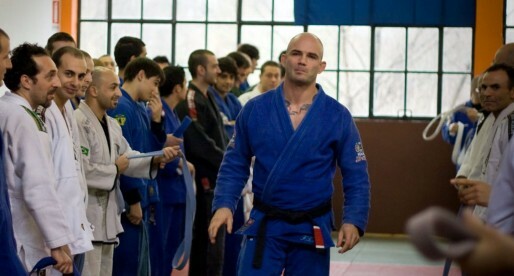 Within one month of training, he was promoted to blue belt, purple after one year and brown after another. 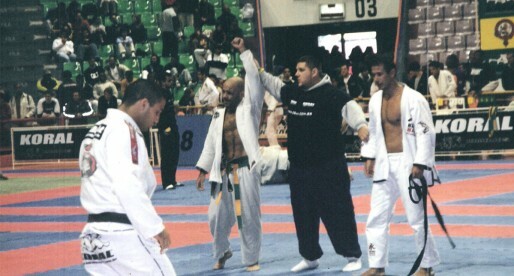 Finally after five years he received his black belt in July 2011. 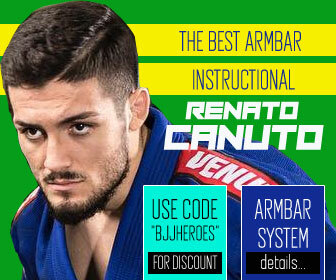 Every summer without failure, he would travel to Rio to train with the master and compete in the International masters. 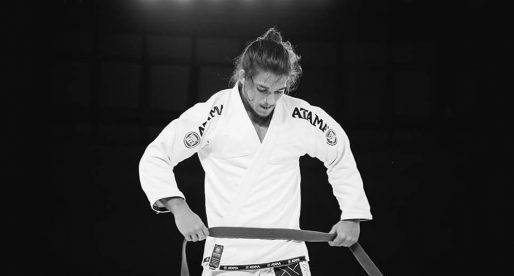 Beauchamp’s work ethic was unrivalled; he trained his Judo and Jiu-Jitsu skills to become a master of the competition game. 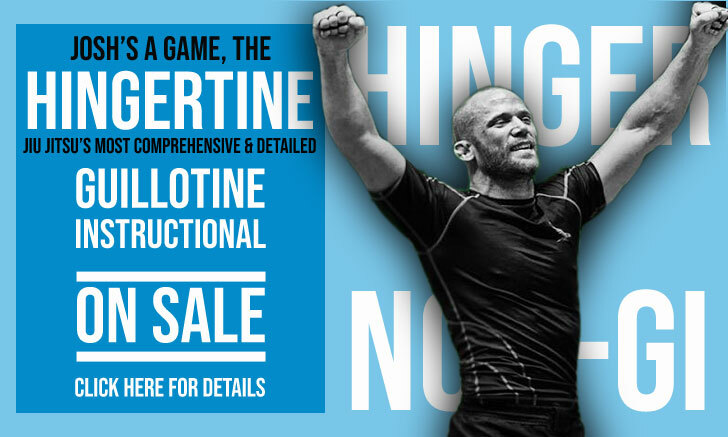 Brian’s discipline, both mentally and physically, changed the game in the masters division, with a level of detail that went as far as to compile a book on referees and their tendencies as well as the psychological profile of his competitors. 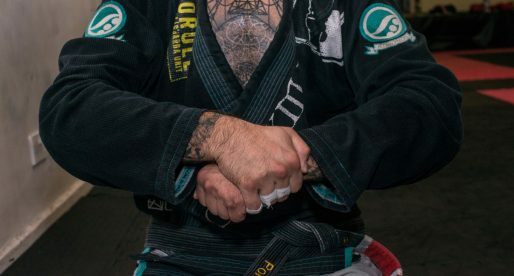 This incredible work ethic has led Brian Beauchamp to win 31 straight matches at the IBJJF World Masters Championships and become a 9 time champion without conceding a single point. A feat hard to imagine.